I have told you how I would divide the subject into four Yogas, but, as the bearing of all these various Yogas is the same — the goal they want to arrive at is the same — I had better begin with the philosophical portion: the Jnana-Yoga. Jnâna means knowledge, and, before going into the principles of the Vedanta philosophy, I think it is necessary to sketch in a few words the origin and the beginning and the development — the historical portion of that system. Most of you are now familiar with the words Arya and Aryan, and many things have been written on these words. About a century ago there was an English judge in Bengal, Sir William Jones. In India, you know, there are Mohammedans and Hindus. The Hindus were the original people, and the Mohammedans came and conquered them and ruled over them for seven hundred years. There have been many other conquests in India; and whenever there is a new conquest, the criminal laws of the country are changed. The criminal law is always the law of the conquering nation, but the civil law remains the same. So when the English conquered India, they changed the criminal law; but the civil law remained. The judges, however, were Englishmen and did not know the language of the country in which the civil laws were written, and so they had to take the help of interpreters, lawyers of India, and so on. And when any question about Indian law arose, these scholars would be referred to. One of these judges, Sir William Jones, was a very ripe scholar, and he wanted to go to the fountain-head himself, to take up the language himself and study it, instead of relying upon these interpreters who, for instance, might be bribed to give any verdict. So he began to study the law of the Gentoos, as the Hindus were called. Gentoo is probably a form of the word gentile, used by the Portuguese and Spaniards — or "heathen", as you call it now. When the judge began to translate some of the books into English, he found that it was very hard to translate them correctly into English at first hand. What was his surprise when he found that if he translated them first into Latin, and next into English, it was much easier. Then he found in translating that a large number of Sanskrit words were almost the same as in Latin. It was he who introduced the study of Sanskrit to the Europeans. Then as the Germans were rising in scholarship — as well as the French — they took up the language and began to study it. With their tremendous power of analysis, the Germans found that there was a similarity between Sanskrit and all the European languages. Among the ancient languages, Greek was the nearest to it in resemblance. Later, it was found that there was a language called Lithuanian, spoken somewhere on the shores of the Baltic — an independent kingdom at that time and unconnected with Russia. The language of the Lithuanians is strikingly similar to Sanskrit. Some of the Lithuanian sentences are less changed from Sanskrit forms than the northern Indian languages. Thus it was found that there is an intimate connection between all the various languages spoken in Europe and the two Asiatic languages — Persian and Sanskrit. Many theories are built upon it as to how this connection came. Theories were built up every day, and every day smashed. There is no knowing where it is going to stop. Then came the theory that there was one race in ancient times who called themselves Aryans. They found in Sanskrit literature that there was a people who spoke Sanskrit and called themselves Aryans, and this is mentioned also in Persian literature. Thus they founded the theory that there was in ancient times a nation [of people] who called themselves Aryans and who spoke Sanskrit and lived in Central Asia. This nation, they said, broke into several branches and migrated to Europe and Persia; and wherever they went, they took their own languages. German, Greek and French are but remnants of an old tongue, and Sanskrit is the most highly developed of these languages. These are theories and have not been proved yet; they are mere conjectures and guesses. Many difficulties come in the way — for instance, how the Indians are dark and the Europeans are fair. Even within the same nations speaking these languages — in England itself — there are many with yellow hair and many with black. Thus there are many questions which have not yet been settled. But this is certain, that all the nations of Europe except the Basques, the Hungarians, the Tartars and the [Finns?] (Vide Complete Works, VIII.) — excepting these, all the Europeans, all the northern Indians and the Persians speak branches of the same language. Vast masses of literature are existing in all these Aryan tongues: in Greek, in Latin, in modern European languages — German, English, French — in ancient Persian, in modern Persian and in Sanskrit. But in the first place, Sanskrit literature alone is a very big mass. Although, perhaps, three-fourths of it has been destroyed and lost through successive invasions, yet, I think, the sum total of the amount of literature in Sanskrit would outbalance any three or four European languages taken together, in number of books. No one knows how many books are there yet and where they are, because it is the most ancient of all these Aryan languages. And that branch of the Aryan race which spoke the Sanskrit language was the first to become civilized and the first to begin to write books and literature. So they went on for thousands of years. How many thousands of years they wrote no one knows. There are various guesses — from 3000 B.C. to 8000 B.C. — but all of these dates are more or less uncertain. Each man in writing about these ancient books and dates is first of all prejudiced by his earlier education, then by his religion, then by his nationality. If a Mohammedan writes about the Hindus, anything that does not glorify his own religion he very scrupulously pushes to one side. So with the Christians — you can see that with your own writers. In the last ten years your literature has become more respectable. So long as they [the Christians] had full play, they wrote in English and were safe from Hindu criticism. But, within the last twenty years, the Hindus have begun writing in English, so they are more careful. And you will find that the tone has quite changed within the last ten or twenty years. Another curiosity about the Sanskrit literature is that it, like any other language, has undergone many changes. Taking all the literature in these various Aryan languages — the Greek or the Latin or all these others — we find that all the European branches were of very recent date. The Greek came much later — a mere child in comparison with the Egyptian or the Babylonian. The Egyptians and the Babylonians, of course, are not Aryans. They are separate races, and their civilizations antedate all the European civilization. But with the exception of the ancient Egyptians, they were almost coeval [with the Aryans]; in some accounts, they were even earlier. Yet in Egyptian literature, there are certain things to be accounted for — the introduction of the Indian lotus on old temples, the lotus Gangetic. It is well known that this only grows in India. Then there are the references to the land of Punt. Although very great attempts have been made to fix that land of Punt on the Arabs, it is very uncertain. And then there are the references to the monkeys and sandalwood of southern India — only to be found there. The Jews were of a much later date than the Greek Aryans. Only one branch of the Semitic race of Babylon and this nondescript, unknowable race — the Egyptians — were much older than the Aryans, except the Hindus. So this Sanskrit has undergone very much change as a matter of course, having been spoken and written through thousands of years. It necessarily follows that in other Aryan languages, as in Greek and Roman, the literature must be of much later date than Sanskrit. Not only so, but there is this peculiarity, that of all regular books that we have in the world, the oldest are in Sanskrit — and that is the mass of literature called the Vedas. There are very ancient pieces in the Babylonian or Egyptian literature, but they cannot be called literature or books, but just a few notes, a short letter, a few words, and so on. But as finished, cultured literature, the Vedas are the oldest. These Vedas were written in the peculiar archaic Sanskrit, and for a long time — even today — it is thought by many European antiquarians that these Vedas were not written, but were handed down by father to son, learned by rote, and thus preserved. Within the last few years, opinion is veering round, and they are beginning to think that they must have been written in most ancient times. Of course they have to make theories in this way. Theory after theory will have to be built up and destroyed until we reach truth. This is quite natural. But when the subject is Indian or Egyptian, the Christian philosophers rush in to make theories; while if the subject is nearer home, they think twice first. That is why they fail so much and have to keep on making fresh theories every five years. But this much is true, that this mass of literature, whether written or not, was conveyed and, not only that, but is at the present day conveyed by word of mouth. This is thought to be holy. You find in every nation when a new idea, a new form, a new discovery or invention comes in, the old things are not brushed aside all at once, but are relegated to the religion of holiness. The ancient Hindus used to write on palm leaves and birch bark; and when paper was invented they did not throw aside all the palm leaves, but used to consider writing on palm leaves and birch bark holy. So with the Jews — they used to write only on parchment, and parchment is now used for writing in their temples. So you find when new customs come in, the old ones become holy. So this form of transmitting the literature of the Vedas from teacher to disciple by word of mouth, although antiquated and almost useless now, has become holy. The student may refresh his memory by books, but has to learn by word of mouth of a teacher. A great many modifications will always gather round such a fact to make its holiness more rational, but this is the law. These Vedas are a vast mass of literature by themselves. That is to say, in those ancient times, in every country, religion was the first ideal to spring out of the heart of man, and all the secular knowledge that men got was made over to religion. Secondly, people who deal with religion and in later times came to be called priests — being the first thinkers of every nation — not only thought about religious subjects, but secular matters also; and, as such, all knowledge was confined to them. These masses of knowledge — both secular and religious — will always be gathered together and made into a vast mass of literature. In much later times, this is the case. For instance, in studying the Bible of the Jews, we find the same thing. The Talmud contained a vast mass of information on all subjects and so did the Pentateuch. In the same way, the Vedas give information on various subjects. They have come together and form one book. And in later times, when other subjects were separated from religion — when astronomy and astrology were taken out of religion — these subjects, being connected with the Vedas and being ancient, were considered very holy. Almost the largest portion of the Vedas has been lost. The priests who carried it down to posterity were divided into so many families; and, accordingly, the Vedas were divided into so many parts. Each part was allotted to a family. The rituals, the ceremonies, the customs, the worship of that family were to be obtained from that [respective] portion of the Vedas. They preserved it and performed all the ceremonies according to that. In course of time, [some of] these families became extinct; and with them, their portion of the Vedas was lost, if these old accounts be true. Some of you know that the Vedas are divided into four parts. One is called the Rig-Veda, another Yajur-Veda, another Sâma-Veda, and the fourth Atharva-Veda. Each one of these, again, was divided into many branches. For instance, the Sama-Veda had one thousand branches, of which only about five or six remain; the rest are all lost. So with the others. The Rig-Veda had 108, of which only one remains; and the rest are all lost. Then [there were] these various invasions. India has been the one country to which every nation that has become strong wants to go and conquer — it being reputed to be very rich. The wealth of the people had become a fable, even in the most ancient history. [Many foreign invaders] rushed to become wealthy in India and conquered the country. Every one of these invasions destroyed one or more of these families, burned many libraries and houses. And when that was so, much literature was lost. It is only within the last few years that ideas have begun to spring up about the retention of these various religions and books. Before that, mankind had to suffer all this pillaging and breaking down. Most stupendous creations of art were lost forever. Wonderful buildings — where, from a few bits of remnants now in India, it can be imagined how wonderful they were — are completely gone. . . .
[The fanatical belief of many of these invaders into India is] that those who do not belong to their sect have no right to live. They will go to a place where the fire will never be quenched when they die; in this life they are only fit to be made into slaves or murdered; and that they have only the right to live as slaves to "the true believers", but never as free men. So in this way, when these waves burst upon India, everything was submerged. Books and literature and civilization went down. But there is a vitality in that race which is unique in the history of humanity, and perhaps that vitality comes from non-resistance. Non-resistance is the greatest strength. In meekness and mildness lies the greatest strength. In suffering is greater strength than in doing. In resisting one's own passions is far higher strength than in hurting others. And that has been the watchword of the race through all its difficulties, its misfortunes and its prosperity. It is the only nation that never went beyond its frontiers to cut the throats of its neighbours. It is a glorious thing. It makes me rather patriotic to think I am born a Hindu, a descendant of the only race that never went out to hurt anyone, and whose only action upon humanity has been giving and enlightening and purifying and teaching, but never robbing. Three-quarters of the wealth of the world has come out of India, and does even now. The commerce of India has been the turning point, the pivot, of the history of the world. Whatever nation got it became powerful and civilized. The Greeks got it and became the mighty Greeks; the Romans got it and became the mighty Romans. Even in the days of the Phoenicians it was so. After the fall of Rome, the Genoese and the Venetians got it. And then the Arabs rose and created a wall between Venice and India; and in the struggle to find a new way there, America was discovered. That is how America was discovered; and the original people of America were called Indians, or "Injuns", for that reason. Even the Dutch got it — and the barbarians — and the English and they became the most powerful nation on earth. And the next nation that gets it will immediately be the most powerful. But here are the Hindus — three hundred million strong. And think of the fertility of the race! They can increase more than the whole world can kill them. This is the vitality of the race. Although not belonging very much to our subject, I wanted to bring these things before you. To return to our Vedanta, I have said that the Sanskrit in which the Vedas were written is not the same Sanskrit in which books were written about a thousand years later than the Vedas — the books that you read in your translations of poets and other classical writers of India. The Sanskrit of the Vedas was very simple, archaic in its composition, and possibly it was a spoken language. But the Sanskrit that we have now was never a spoken language, at least for the last three thousand years. Curiously enough, the vast mass of literature was written in a language which was dead, covering a period of three thousand years. Dramas and novels were written in this dead language. And all the time it was not spoken in the homes; it was only the language of the learned. Even in the time of Buddha, which was about 560 years before the Christian era, we find that Sanskrit had ceased to be a spoken language. Some of his disciples wanted to teach in Sanskrit, but the master studiously refused. He wanted to teach in the language [of the people], because he said he was the prophet of the people. And that is how it has come about that the Buddhistic literature is in Pali, which was the vernacular of that time. This vast mass of literature — the Vedas — we find in three groups. The first group is the Samhitâs, a collection of hymns. The second group is called the Brâhmanas, or the [group dealing with different kinds of] sacrifice. The word Brahmana [by usage] means [what is achieved by means of] the sacrifice. And the other group is called the Upanishads (sittings, lectures, philosophic books). Again, the first two parts together — the hymns and the rituals — are called the Karmakânda, the work portion; and the second, or philosophic portion (the Upanishads), is called the Jnânakânda, the knowledge portion. This is the same word as your English word knowledge and the Greek word gnos — just as you have the word in agnostic, and so on. The first portion is a collection of hymns in praise of certain gods, as Agni, fire; Mitra, the sun; and so forth. They are praised and oblations are offered to them. I have said these hymns are to the gods. I have used the word gods until I make you familiar with the Sanskrit word Deva, because the word gods is very misleading. These Devas mean the "bright ones", and gods in India are less persons than positions. For instance, Indra and Agni are not names of particular persons, but particular posts in this universe. There is the post of President, the presiding post over certain elements, the presiding post over certain worlds, and so forth. According to these theologians, you and I — most of us — probably have been some of these gods several times. It is only temporarily that a soul can fill one of these positions. And after his time is over, he gives way; another soul is raised from this world by good works and takes that position — he becomes [for example] Agni. In reading Sanskrit philosophy or theology, people always get bothered by the changing of these gods. But this is the theory — that they are names of positions, that all souls will have to fill them again and again; and these gods, when the soul has attained to that position, can help mankind. So gifts and praise are offered to them. How this idea came to the Aryans we do not know, but in the earliest portion of the Rig-Veda we find this idea perfected and completed. Behind and beyond all these Devas and men and animals and worlds is the Ruler of this universe, Ishvara — somewhat similar to what in the New Testament is called God the Creator, Preserver, the Ruler of this universe. These Devas are not to be confused with Ishvara at all, but in the English language you have the same word for both. You use the word God in the singular and the plural. But the gods are the bright ones — the Devas — and God is Ishvara. This we find even in the oldest portions of the Vedas. Another peculiarity is that this Ishvara, this God, is manifesting Himself in all these various forms of bright ones. This idea — that the same God manifests Himself in various forms — is a very rudimentary idea of the Vedas, even in the oldest portions. There was a time when a sort of monotheistic idea entered the Vedas, but it was very quickly rejected. As we go on, perhaps you will agree with me that it was very good that it was rejected. So we find in these oldest portions of the Samhitas that there were these various Devas — [being praised as] the manifestations of someone very much higher than they [had left] behind, so that sometimes each one of them was taken up and adjectives piled on it and at last it was said, "You are the God of the universe". Then such passages as this occurred: "I am God, worshipped as the fire", and so forth. "It is the One; sages call Him variously." "He is that one existence; the sages call Him by various names." This I ask you to remember, because this is the turning point, the key-note of all thought that India has produced — "He is that One Being; sages call Him variously." All Hindu philosophy — either theistic or atheistic or monotheistic, dualistic or nondualistic — has that as the core, the centre. And by thousands of years of culture in the race, it is impossible for the Hindu race to go [away from] that idea. That germ became a big tree; and that is why there was never a religious persecution in India, at least by the Hindus. That explains their liberality and welcome to any religion from any part of the world which came to settle there. That is how, even at the present day, Indian Rajas go and perform Mohammedan ceremonies and enter Mohammedan mosques, although [some] Mohammedans took the first opportunity to kill a number of "the heathens". "He is the One Being; sages call Him variously." There have been two theories advanced in modern times with regard to the growth of religions. The one is the tribal theory; the other is the spirit theory. The tribal theory is that humanity in its savage state remains divided into many small tribes. Each tribe has a god of its own — or sometimes the same god divided into many forms, as the god of this city came to that city, and so on; Jehovah of this city and of such-and-such mountain [came to such-and-such city or mountain]. When the tribes came together, one of them became strong. Take the case of the Jews. They were divided into so many tribes, and each tribe had a god called either Baal or Moloch, which in your Old Testament is translated as "the Lord". There was the Moloch of this state and that state, of this mountain and that mountain, and there was the Moloch of the chest, who used to live in a chest. This latter tribe became strong and conquered the surrounding tribes and became triumphant. So that Moloch was proclaimed the greatest of all Molochs. "Thou art the Java [?] of the Molochs. Thou art the ruler of all the Baals and Molochs." Yet the chest remained. So this idea was obtained from tribal gods. There is the other theory of Spiritualism — that religion begins with the worship of ancestors. Ancestor worship was among the Egyptians, among the Babylonians, among many other races — the Hindus, the Christians. There is not one form of religion among which there has not been this ancestor worship in some form or other. Before that they thought that this body had a double inside it and that when this body dies the double gets out and lives so long as this body exists. The double becomes very hungry or thirsty, wants food or drink, and wants to enjoy the good things of this world. So he [the double] comes to get food; and if he does not get it, he will injure even his own children. So long as the body is preserved the double will live. Naturally the first attempt, as we see, was to preserve the body, mummify the body, so that the body will live forever. So with the Babylonians was this sort of spirit worship. Later on as the nations advanced, the cruel forms died out and better forms remained. Some place was given to that which is called heaven, and they placed food here so that it might reach the double there. Even now the pious Hindus must, one day a year at least, place food for their ancestors. And the day they leave off [this habit] will be a sorry day for the ancestors. So you also find this ancestor worship to be one cause of religion. There are in modern times philosophers who advance the theory that this has been the root of all religions. There are others who advance the theory that the root of all religions was the tribal assimilation of gods into one. Among the Jews of the Old Testament you do not find any mention of soul. It is only in the Talmud that it is found. They got it from the Alexandrians, and the Alexandrians from the Hindus — just as the Talmud had [developed] later on the idea of transmigration of the soul. But the old Jews had grand ideas of God. The God of the Jews developed into the Great God — the Omnipotent, Omniscient, All-Merciful — and all this came to them from the Hindus, but not through the idea of the soul. So Spiritualism could not have played any part in that, because how could the man who did not believe in any soul after death have anything to do with Spiritualism? On the other hand, in the oldest portion of the Vedas, there is very little of Spiritualism, if anything at all. These Devas [of the Vedas] were not [related to Spiritualism] — although later on they became so; and this idea of Someone behind them, of whom they were manifestations, is in the oldest parts. Another idea is that when the body dies, the soul [which] is immortal remains beatified. The very oldest Aryan literature — whether German or Greek — has this idea of soul. The idea of soul has come from the Hindus. 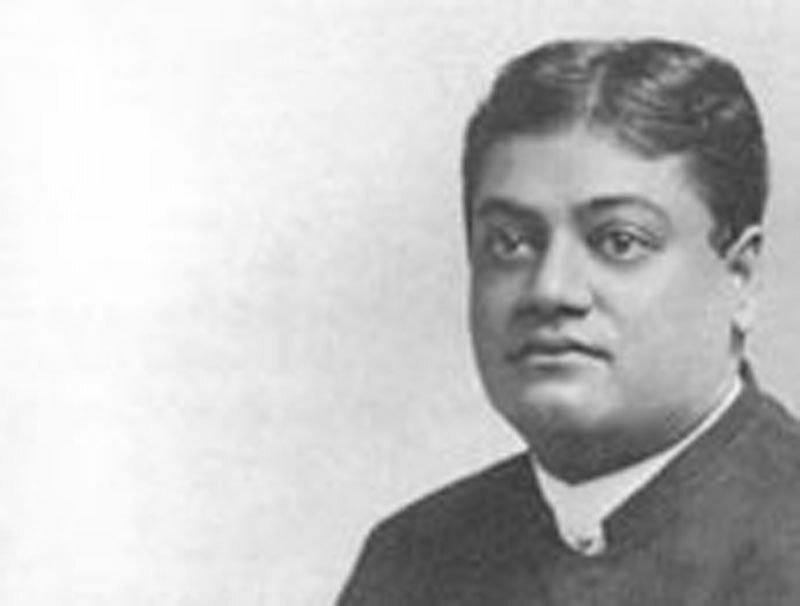 Two people have given all the religion to the world — the Hindus and the Jews. But it is only with the Hindus that the idea of soul comes at first, and that was shared by the Aryan races. The peculiarity you find is that the Semitic races and the Egyptians try to preserve the dead bodies, while the Aryans try to destroy them. The Greeks, the Germans, the Romans — your ancestors before they became Christians — used to burn the dead. It was only when Charlemagne made you Christians with the sword — and when you refused, [he] cut off a few hundred heads, and the rest jumped into the water — that burying came here. You see at once the metaphysical significance of burning the dead. The burying of the dead (Preserving the dead by the burying of the body.) can only remain when there is no idea of the soul, and the body is all. At best there came the idea later on that this very body will have another lease of life, after so many years — mummies will come out and begin to walk the streets again. It is curious that though in modern times many hideous and cruel forms of religion crept into India, there is one peculiar idea that divides the Aryan from all other races of the world: that their religion, in the Hindu form, accepted this Indra as one [with the Ultimate Reality]. Three-quarters of the mythology of the Vedas is the same as that of the Greeks; only the old gods became saints in the new religion. But they were originally the gods of the Samhitas. One other peculiarity we remark — that it is a cheerful, joyful, at times almost hilarious religion; there is not a bit of pessimism in it. The earth is beautiful, the heavens are beautiful, life is immortal. Even after death they get a still more beautiful body, which has none of the imperfections of this body, and they go to live with the gods and enjoy heaven forever. On the other hand, with the Semitic races, the very first inception of religion was one of horror. A man crouched in his little house for fear. All round his house were those doubles. The family ancestors of the Jews were there, ready to pounce upon anybody and tear him to pieces if bloody sacrifices were not given to them. Even when you find that this [double] idea coagulated into one — "Thou art the Elohim of the Jews, Thou art the Elo[him] of the [Babylonians? ]"* — even then the idea of sacrifice remained. The idea of sacrifice in India was not with this first portion. But in the next portion we find the same idea in India too, in the Brahmanas. The idea of sacrifice was originally simply giving food [to the gods], but gradually it was raised and raised until it became a sacrifice to God. Philosophy came in to mystify it still more and to spin webs of logic round it. Bloody sacrifices came into vogue. Somewhere we read that three hundred bullocks have been roasted, or the gods are smelling the sacrifices and becoming very glad. Then all sorts of mystical notions got about — how the sacrifice was to be made in the form of a tri-angle or a square, a triangle within a square, a pentagon, and all sorts of figures. But the great benefit was the evolution of geometry. When they had to make all these figures — and it was laid down strictly how many bricks should be used, and how they should be laid, and how big they should be — naturally geometry came [into being]. The Egyptians evolved geometry [by] their [irrigation] — [they] made canals to take the Nile water inside their fields — and the Hindus, by their altars. Now there is another particular difference between the idea of sacrifice in India and [that] of the Jews. The real meaning of sacrifice is worship, a form of worship by oblations. At first it was simply giving food to the bright ones, or the higher beings. They had gross food just as we have. Later on philosophy stepped in and the idea came that they, being higher beings, could not eat the same food as we do. Their bodies are made of finer particles. Our bodies cannot pass through a wall; theirs find no resistance in gross material. As such, they cannot be expected to eat in the same gross way as we do.
. . . "O Indra, I offer you this oblation. O Agni, I offer you this oblation." The answer is that these words have a mystical power in Sanskrit. And when a man, in a certain state of mind, pronounces these words, he sets in motion a set of psychological causes, and these causes produce a certain effect. That is the evolution of thought. To make it clearer, suppose a man was childless and wanted a son. He worshipped Indra, and if he got a son he said Indra gave him the son. Later on they said Indra did not exist. Who, then, gave him the son? The whole thing is a matter of cause and effect. . . .. . . They said it was not giving the gods food, but simply laying my sins upon the head of another victim. "My sins go upon the goat's head, and, if the goat be killed, my sins are forgiven." That idea of sacrifice of the Jews never entered India, and perhaps that has saved us many a pang, many a trouble. Human nature is selfish, and the vast majority of men and women weak; and to teach vicarious sacrifice makes us more and more weak. Every child is taught that he is nothing until the poor fellow becomes hypnotized into nothing. He goes in search of somebody to cling onto, and never thinks of clinging to himself. . . .